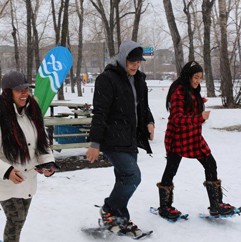 Don’t hibernate this winter – get outdoors and discover snowshoeing! Learn the basics of trekking over snowy trails with snowshoes strapped to your boots as you explore the trails of Pearce Estate Park! 403 297-6561 for more information.